March 29, 2019: Verizon Wireless is rolling out new updates to the two variants of the Galaxy J3 V as software versions J337VVRU2ASC1 and J337VPPVRU2ASC1, respectively. The updates are available over the air and once installed, the security patch level of your device will be bumped to the latest version available – March 2019. February 19, 2019: A new update is available for Verizon’s Galaxy J3 Mission and J3 Eclipse. Both devices are receiving January 2019 security patches and although not the latest in town, its good to see such entry-level handsets receiving software support long after their launch. Where the J3 Mission is receiving an update with software version J327VPPVRU2BSA1, the J3 Eclipse is receiving version J327VVRU2BSA1. Both are OTA updates, meaning they’ll take a few days before arriving on all units. February 13, 2019: Samsung has been releasing security patches for almost all its phones this week. The latest to join the bandwagon is Galaxy J3 (model no. SM-J330L), which received the January 2019 security patch today. The software version of the update is J330LKLU1BSA3. The Galaxy J3 series came about after the success of the budget J2 series. With time, Samsung found that Indian and other South Asian markets deliver excellent sales in this range. The devices in this segment consist of the original Galaxy J3 which was launched in 2016, followed by the Galaxy J3 Pro, the Galaxy J3 Emerge which was released in March 2017, and the Galaxy J3 2017, besides the Galaxy J3 Prime that was released at T-Mobile in April 2017. And the list keeps getting bigger with each year’s release. The Galaxy J3 3rd Gen was recently announced by Verizon, and the device is receiving its first update today. Sold as SM-J337V under the postpaid wing, and as SM-J337VPP with a prepaid plan, both the variants of the handset are receiving an update today. The table below gives you the software version of each handset. In other markets, more so in Asia and some parts of Europe, the Galaxy J3 2017 goes by the name Galaxy J3 Pro and has model number SM-J330G. This is the device’s software update timeline. The J3 Emerge is the latest addition to the series and runs on the Snapdragon 430 processor. But the device took a step backward, by going with 1.5GB of RAM. The smartphone ships with Marshmallow and was released in January this year. Model no. SM-J327P is for Sprint J3 Emerge, while the SM-J327R4 is for US Cellular J3 Emerge. Update [February 12, 2018]: T-Mobile has just confirmed the Oreo update for the Galaxy J3 Prime. On Sprint, the J3 Prime is known as J3 Emerge, however, we don’t expect the device to receive Oreo. Having been launched with Nougat though, there were slim chances that the J3 Prime will be upgraded to Android 8.0. Well, according to T-Mobile, Samsung has begun works on the J3 Prime Oreo update and even though there’s still no official release date, we believe the OS will be ready in Q2 2018. 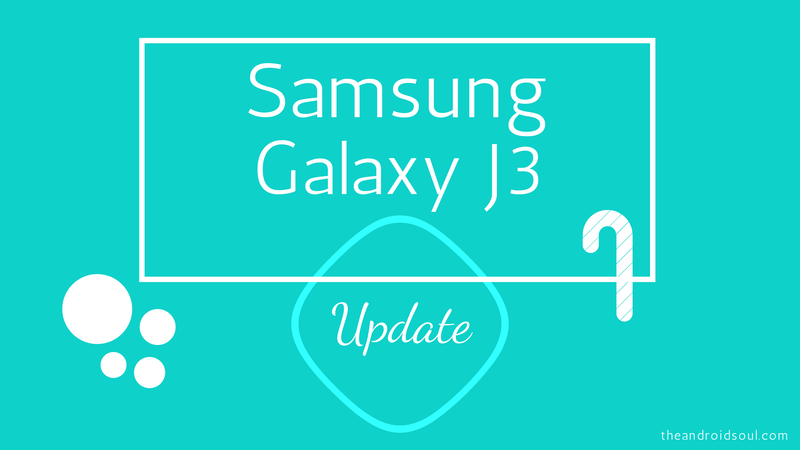 Samsungs Galaxy J3 family usually receives one major OS upgrade. This means that only the models that have Android Oreo out of the box can expect to be upgraded to Android 9 Pie, as seen in the table below. Given that the entire Galaxy J3 2018 family is eligible for an update to Android 9 Pie, there is a small chance One UI could accompany the Pie update to these devices. However, no official word is available at the moment from Samsung regarding if and when this One UI will arrive, but we won’t be surprised if the J3 2018 misses out on the One UI. After all, it won’t be the first time such would be coming from Samsung. Only time will tell. If we are considering Android 8.0 update for the Galaxy J3 series, well, not only will the Galaxy J3 2017 receive the update, but also the Galaxy J3 Emerge and all of its variants. Of course, the latter argument is based on the fact that T-Mobile revealed that Samsung has is developing Android Oreo for the J3 Prime, which is just another name for the J3 Emerge. The same phone is also known as J3 Eclipse on Verizon and Amp Prime 2 on AT&T. Despite having started development, the J3 Prime Oreo update will not be ready until somewhere in Q3 2018. As for the Galaxy J3 2017 and all variants with model number SM-J330, Android 8.0 Oreo is already here. The latest Galaxy J3 2018 (known as J3 V 3rd Gen on Verizon Wireless) has Oreo out of the box. Well, we have provided the download link of the firmware along with their build no. (software version, that is) in the firmware column in the update table above. Take care to download the firmware by matching the model no. of your Galaxy J3. Here are some examples of device model no. and firmware build. When in doubt, sure ask us about the firmware version you are looking to install, using the comments section below. We’ll reply asap. To install, find the guide on how to install Samsung firmware here. That’s all you need. What are your thoughts on the updates for the Galaxy J3 devices?